15461 Cabot Trail, Cheticamp. NS. 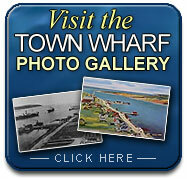 Cheticamp Town wharf is a fishing harbour located in the village of Cheticamp. Do you have some related stories and photos you would like share with our visitors? If so, we would love to hear from you. In order to showcase the strong vibrant fishing community in Cheticamp the Harbour Authority of Cheticamp welcomes and encourages contributions to our web site from the community. Please submit to the HA photos and historical articles/stories as they relate to the fishing community. Together we can ensure we capture and record our strong fishing history for future generations. Please visit our Contact page for information on how we can be reached. The Harbour Authority of Cheticamp is responsible for managing, operating and maintaining three public fishing harbours, through a lease agreement with Small Craft Harbours (SCH), a branch of Fisheries & Oceans Canada (DFO). Copyright © 1998 - Harbour Authority of Cheticamp. All rights reserved.